Beware if you thought Dubai to be just about deserts, scorching heat and shopping, it has a lot more to offer to you and especially for all those adventure loving people, Dubai is the place to gratify all your adventure cravings. Don’t underrate Dubai as the shopping destination only. Well, Dubai has a list of activities, rather I would term them as fun activities to do while you are in the city. The first name that would probably come to your mind when you think of Dubai is Burj Khalifa. Indeed, this marvellous building is one of its kind as crowned being the tallest standing tower with 160 floors. It is said that each of its floors has different stories to tell you. Standing on the topmost floor and viewing the city so close to clouds, is like witnessing a dream. As it is said to be the most beautiful thing in the world, it has a price tag attached. 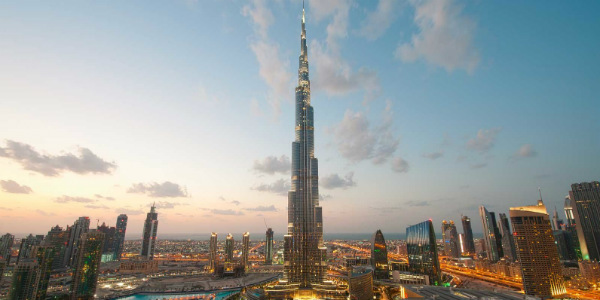 If you want to get goosebumps standing on the topmost floor to get a spectacular view of the city, you have to get your pockets ready for shedding some Dirhams. After you have decided to spectate the iconic view, you need to think about the levels you would want to go to. The Prime hours' charges: from 17h – 18h30 (local time), AED 200 for adults aged 12 years and above while for below 12 years old it is AED 160. Non-Prime hour’s charges: 19 until closing, AED 125 for adults while children its AED 95. Moreover, you can relish being on the top for as long as you wish to, as you are not time bound. In fact, after getting down, you may also wish to enjoy the Dancing fountains that are again mesmerizing sight for many of us? These are spectacular, exciting and free to watch. Dubai dancing fountains are even better than the Vegas one. These are bigger, taller and louder along with the incredible light show at night. Dubai is also referred to as the City of Gold, Festival City, and the Shopping Capital of the Middle East. From Clothes, accessories to electrical gadgets and gold. Dubai has it all and that too at a price which won’t make a hole in your pocket. Dubai has multiple shopping malls where from you can purchase anything and everything you have been wanting to take home. 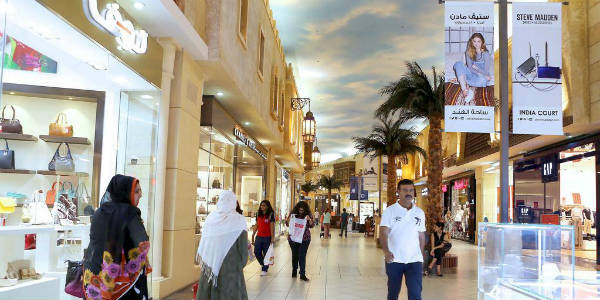 Dubai has a lot of shopping centres that not only curbs your shopping desires but also relieves you from the hot weather conditions. An AC centralized mall where you can do all kind of shopping in a soaring 50 degrees outside, provides a bliss for people. Ibn Battuta, Mall of Emirates, Dubai Mall, Dubai outlet mall, Mercato shopping mall, Sunset Mall, Marina Mall and Giant Supermarket are just to name a few. If you have always wanted to attempt scuba diving, but were afraid of, here’s a smaller version to give it a try, and ward off your fears. I bet you want to picture yourself diving in the blue water along with fishes and other aqua species of different size and colour. In other words, you can experience scuba diving without fearing a shark attack. 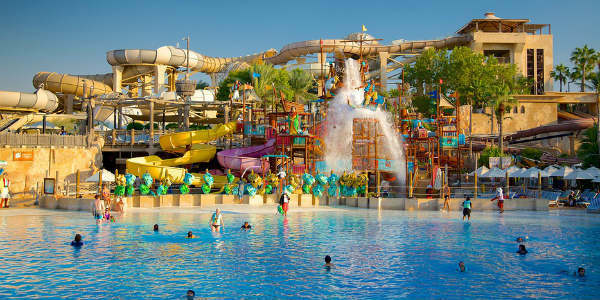 Aquaventure Water Park is one of the best ways to release your stress and get spared from the scorching sun. Situated in the Atlantis Palm, the water park hosts a list of marine and water adventure. The various water activities that the water park provides, include Dolphin encounters, Dolphin adventures, Sea Lion photo fun, Waterslides, shark safari, Aquaventure beach and relaxation, waterpark restaurants, the lost chamber aquarium, Spas, Kids Club, Babysitting facilities, yacht and boat cruises, helicopter tours and this is not all. Prices for all these activities vary according to your age. 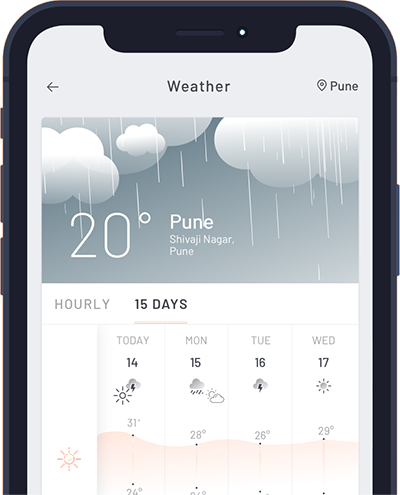 Booking online in advance is always fruitful to your pockets. The price range varies from AED 215 to AED 300. However, family and group packages are also an option. After diving underwater, how about gliding up high in the sky? Hot air balloon flight is one you would definitely not want to miss unless you fear of heights. 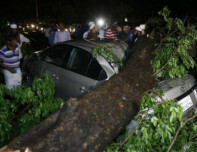 The only condition for you to get this relishing experience is that you have to leave your bed early in the morning. If touching the sky is your fantasy, don’t miss trying this. The whole Hot air balloon tour lasts around 4-6 hours. 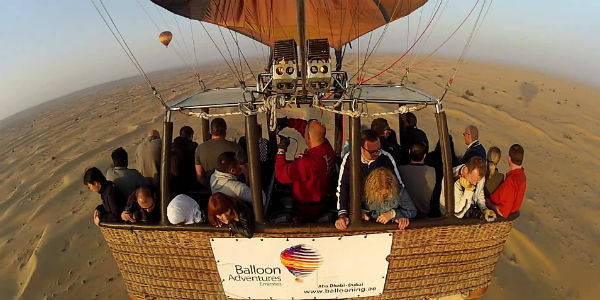 Your hot air balloon ride over the Dubai desert with a ride to a traditional Bedouin Camp in a 1950’s Land Rover for a scrumptious gourmet breakfast and falconry demonstration is 1100 AED for adults and 950 AED for children. Enjoy an adrenaline rush experience while sand boarding down Dubai’s desert dunes. 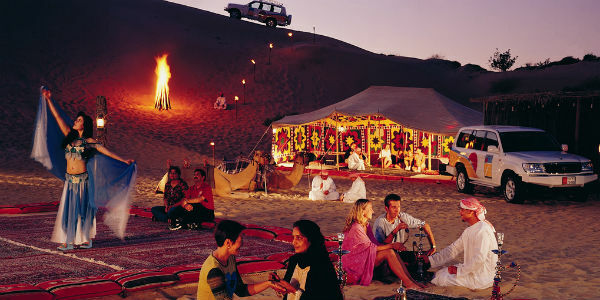 One can also take a camel ride, enjoy Sand skiing and get a henna tattoo. If this is what you would want to do, desert safari should definitely be on your plate. The desert safari usually, takes place in the afternoon or evenings. However, nights are not left boring. You would be cordially invited to witness one of those great Belly Dancing or Tanura Dance along with the mouthwatering buffet. For price related queries, you have to contact the organizers counting on the number of people interested in this adventure. Based on this, the prices would be disclosed. Desert, underwater and balloon flight… What’s left? Well, may be some snow. That’s true you will find snow here in the desert city as well. Dubai has a Ski arena in the Mall of Emirates. The place has an artificially created environment, which has a temperature of below zero degrees. It is in stark contrast to the 50-degree temperature outside the mall. Now, this is what I call a perfect tour. Located within the Middle East’s first indoor ski resort, Ski Dubai, Snow Park is a breathtaking 3,000 square meter, real snow wonderland. Don’t forget to have a rendezvous with the marching penguins. 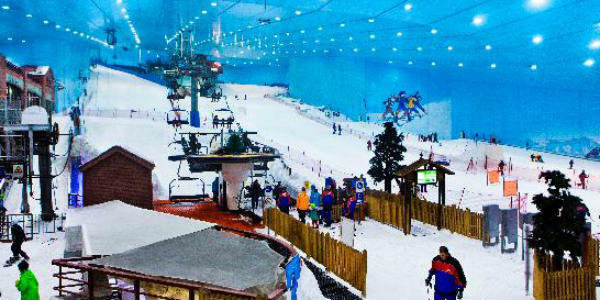 Prices for Ski Dubai ranges between AED 265 and can go up to 500 AED for both adults and children. 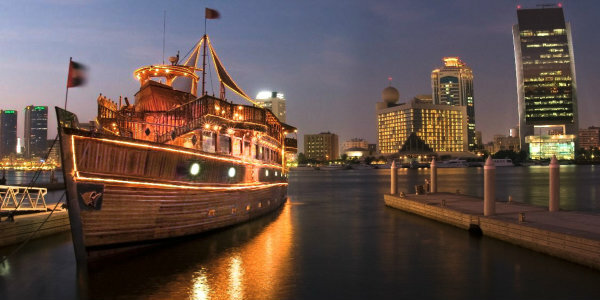 A truly imaginative way to explore the true scenic exquisiteness of Dubai is to take the traditional wooden show cruise under the moonbeam. Picture yourself sailing in those old roofed boats under the moonlight along with relishing and finger licking dinner. Romantic, isn’t it? Moreover, I bet, close to two and a half hour of your ‘food while sailing’, will be one of the best experiences to have in Dubai. The water is pristine clear, cruise completely decorated with lights Moonlight and the cool breeze would enhance the aura. It would mark a perfect time for some clicks, I dare say. Prices for sailing on the water in Dhow cruise for 2 hours varies from child to adults. For adults prices are AED 140 while for children, it is AED 110. 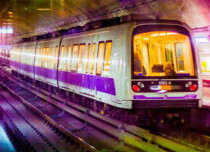 While you have already travelled much in Dubai, how about sightseeing the nearby cities as well. Approximately 150 km from Dubai is the capital city of UAE, Abu Dhabi. 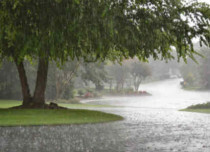 Most of the tour operators will surely give you a glimpse of this beautiful city as well. Abu Dhabi city tour is mostly on the list for its amazing and the grandest mosque, Sheikh Zayed Grand Mosque. It has one of the largest man-made carpets designed by the Iranian designers. 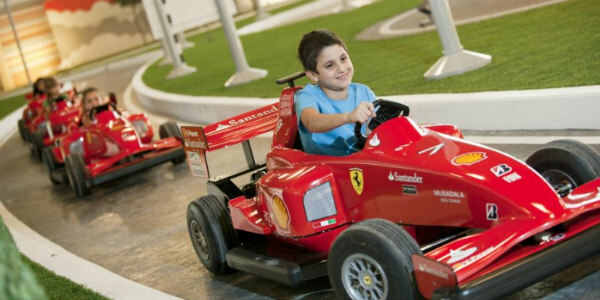 Ferrari world is another attraction worth visiting. If you have had a love for Ferraris, this is something you would definitely not want to miss. Prices for visiting this is AED 360 for Adults and AED 305 for children. With horses and camels being such an integral part of Dubai’s history, it’s no surprise that they still are equally a part of its present. 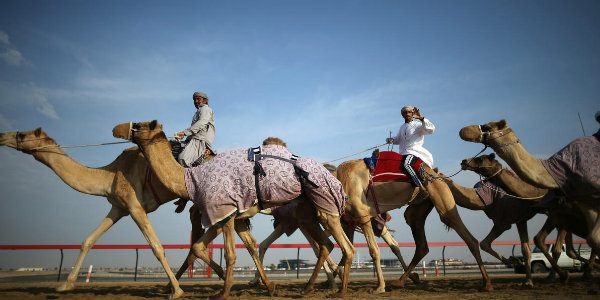 If you are lucky enough to visit the city from the months of October to March, you may spectate camels competing for speeds of up to 40 km/h as they thunder along the sandy tracks, cheered on by excited crowds. Keeping the best for the last, Dubai Museum is for all those who want to unleash the history of this royal city. 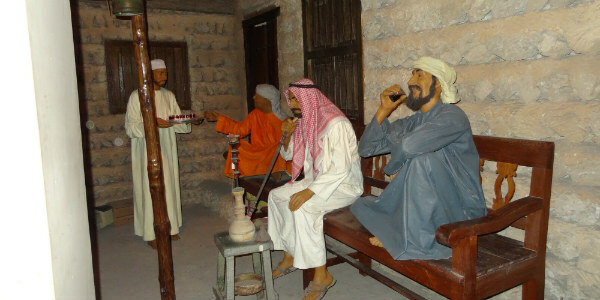 Housed in Al Fahidi Fort, the Dubai museum will take you along the city’s origin to its present. From the pre-oil era to becoming a prominent name in the pearl and gold industry and finally becoming the Modern Dubai, here’s a glimpse of what the city is and how it has achieved it. At a mere fee of AED 3 for adults and AED 1 for children (under the age of 6), you can learn more about the culture and traditions of Dubai. That’s not all, the list of activities in Dubai would seem unending. There are an array of other activities or to phrase it better, fun activities that you can do while you are on a trip with your family or friends to Dubai. So, if you have stroked out Dubai from your travelogue, better to add it again.